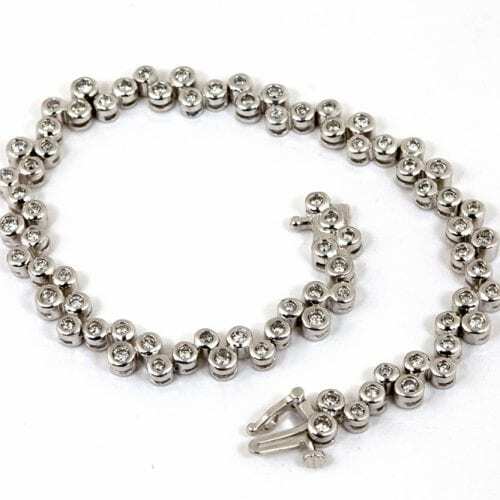 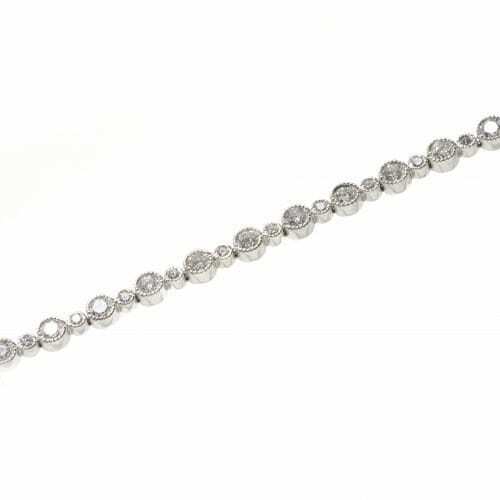 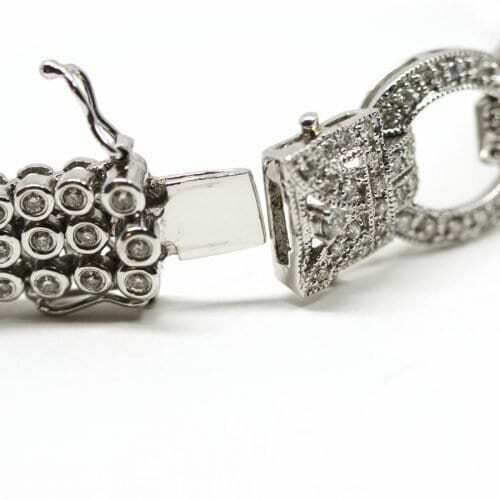 14k white gold bracelet is bezel set with 2.00 carats total in round brilliant diamonds and features a safety catch. 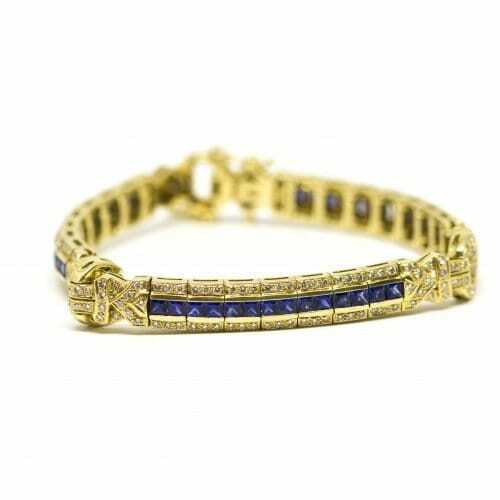 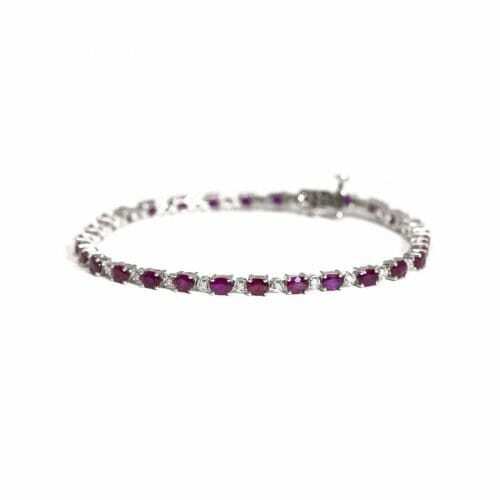 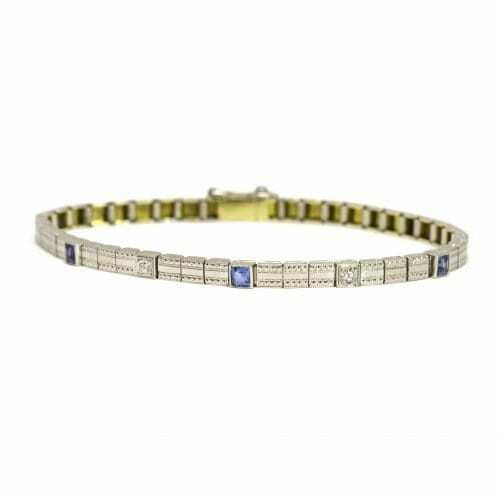 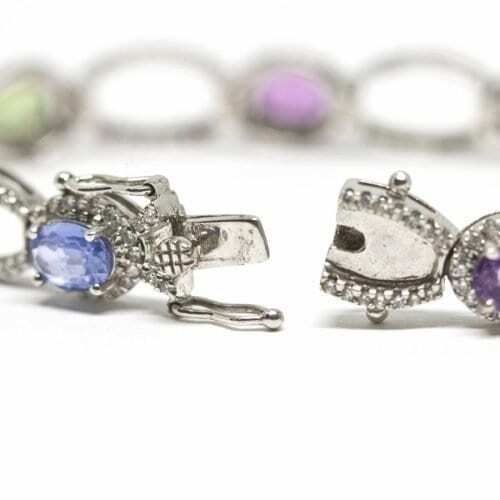 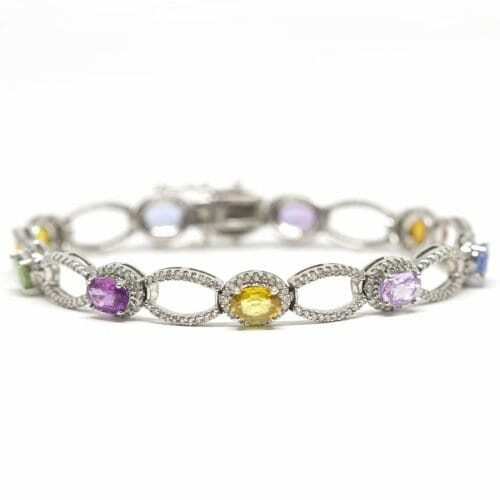 An estate bracelet with sapphire and diamond stones. 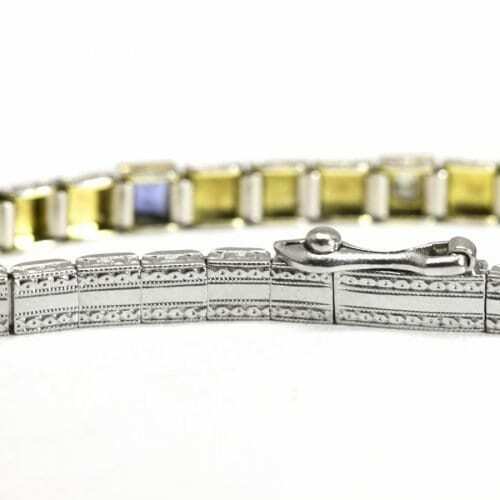 The top and side are hand engraved with milgrain beading around each bezel set stone. 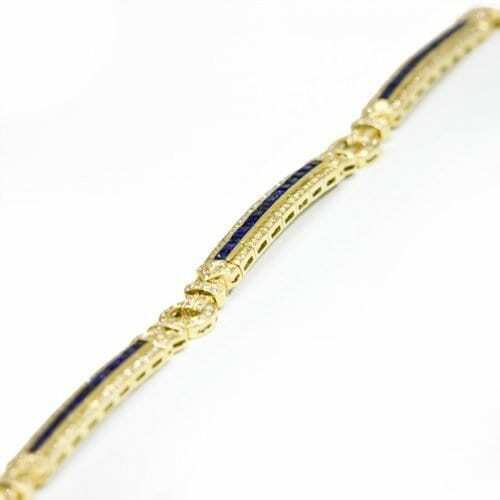 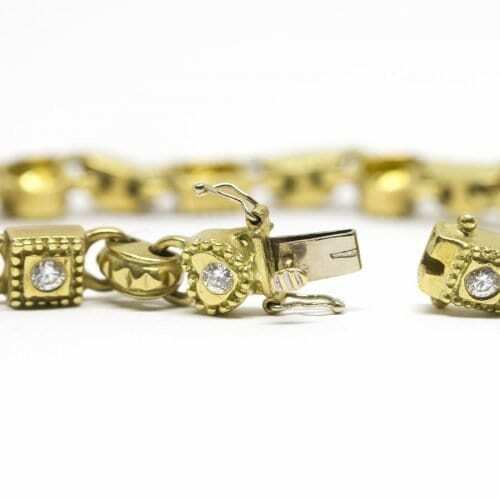 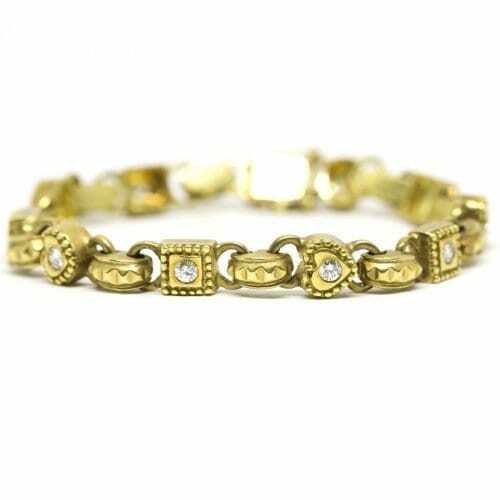 Gold and Diamond Heavy Link Bracelet made in 18k yellow gold. 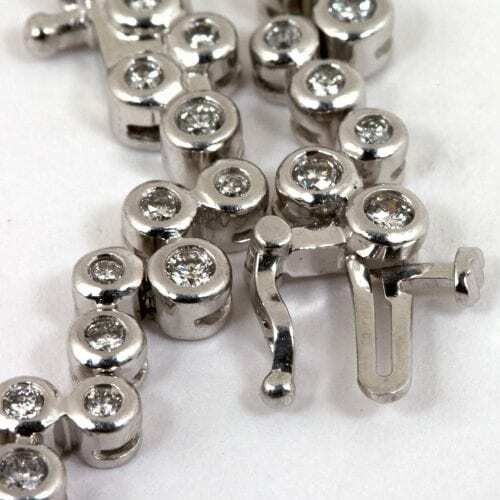 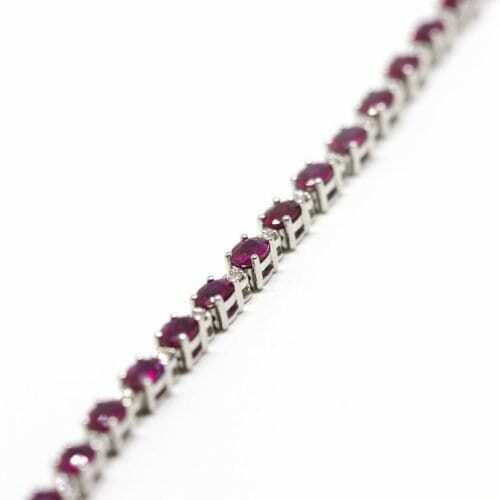 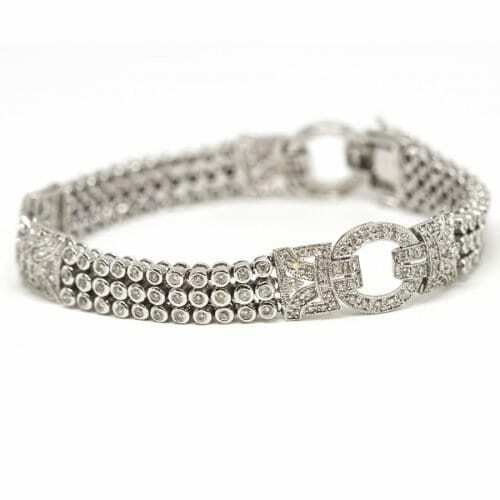 The bracelet feature alternating square and heart links with 11 burnished set brilliant round cut diamonds that total .75 carats in diamond weight. 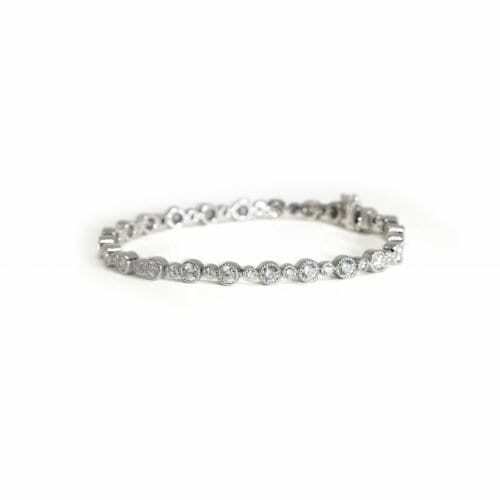 Scalloped diamond link bracelet with milgrain detail.